Now I am making recipes for vegetarian class. 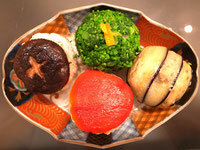 It is not difficult conceiving vegetarian appetizer and rice menus; however, main dish,,,? It took a while to come up with this idea. Chicken KARAAGE is Japanese style fried chicken and I picked Tofu in place of chicken. 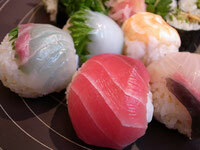 Until late 19th century, Japanese did not eat both white and red meats. There is a category called SHOJINRYORI in Japanese cuisine which is vegetarian cuisine originally derived from the dietary restriction of Buddhist monks. In SHOJINRYORI, Tofu is often used for substituting meats. 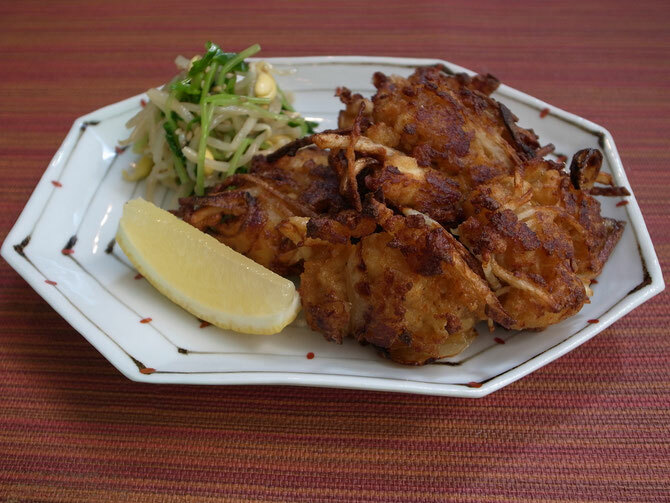 Fried Tofu in style of chicken KARAAGE became a pleasing vegetarian main dish. 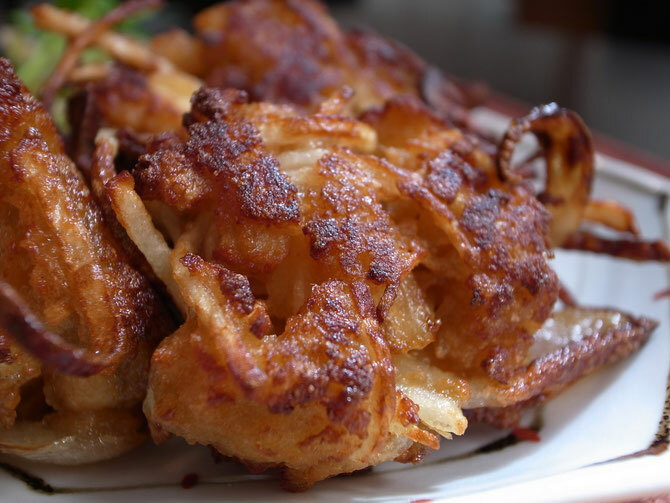 For giving crispy texture, I added fine stripes of onions and potatoes in KARAAGE batter. Once all the vegetarian recipes are completed, the class information will be announced.